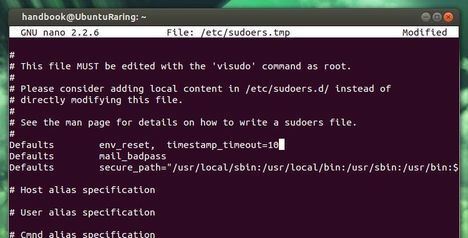 Running Ubuntu on a Macbook based laptop? Well, here’s a way to automatically control the keyboard brightness and screen backlight via Lightum deamon. Lightum is a MacBook automatic light sensor daemon, it reads data from the ambient light sensor (located on the iSight camera) and automatically light up or dim the keyboard brightness and screen backlight. 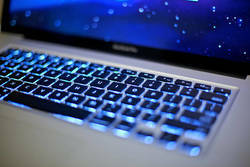 It will also dim the keyboard brightness and screen backlight when the computer is not used for a configurable amount of seconds. If you choose to run it in “manual” mode, it will not query the ambient light sensor, but instead it will use the brightness and backlight values you set manually using the function keys. There’s also an indicator applet available to control lightum from your desktop panel. If you’ve using Ubuntu for a period of time, you may have old kernels that are no longer useful on your system. It may be annoying to have these kernel entries in Grub boot menu. So here’s how to remove the old kernels in Ubuntu 13.10 Saucy, Ubuntu 13.04 Raring. 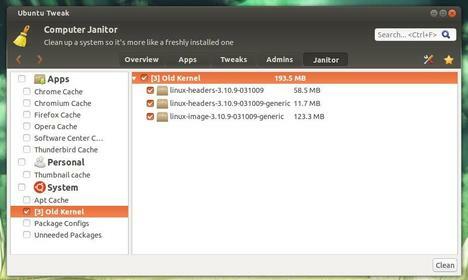 The efficient way to do the job is using the Ubuntu Tweak, which lists all un-used kernels and gives an option at right-bottom corner to clean them up. To install Ubuntu Tweak, download the DEB package in the right sidebar of this page. Then double-click to install via Ubuntu Software Center. 1.) Press Ctrl+Alt+T to open terminal for running commands. Check current running kernel version. 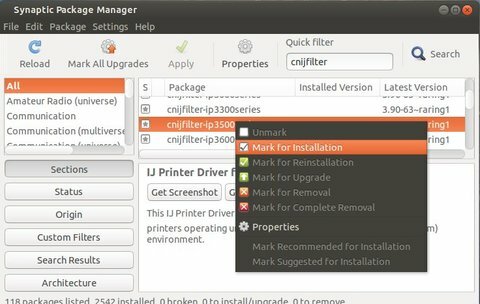 Want to configure swappiness in Ubuntu? Well, there’s a simple graphical tool to change swappiness to improve Ubuntu performance. Swappiness controls how often the swap file is used. A swappiness setting of 0 means that the disk will be avoided unless absolutely necessary (run out of memory), while a swappiness setting of 100 means that programs will be swapped to disk almost instantly. The default value of swappiness is 60, which means the swap file will be used fairly often if the memory usage is around half of RAM. If you have a large memory of RAM, you can reduce the swappiness to improve Ubuntu performance. For example, turn the vaule down to 10 or 15. The swap file will then only be used when the RAM usage is around 80 or 90 percent.